In Cabo San Lucas, resorts not only distinguish themselves with stylish suites, but with soothing spas, first-class onsite dining options, and easy access to the region's many world-class golf courses. 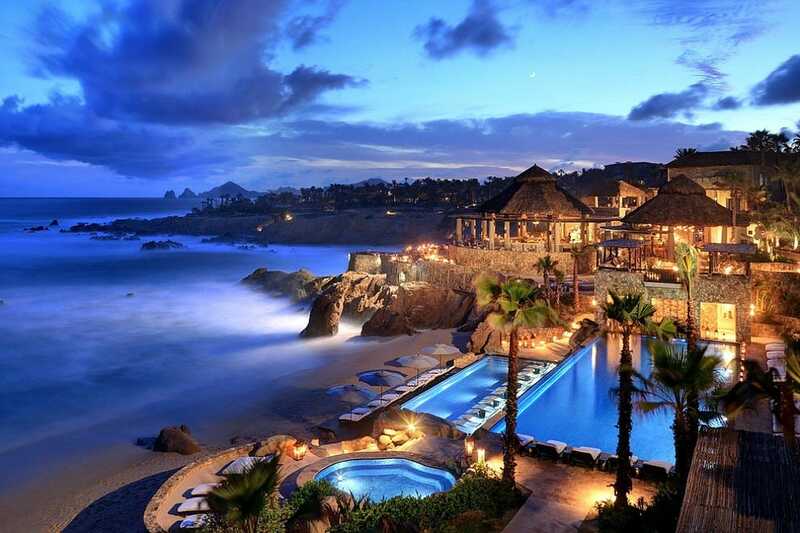 The ultra-luxury Resort at Pedregal–formerly known as Capella Pedregal–is now the standard bearer for fashionable accommodations and detail-oriented service in Cabo San Lucas. The landmark Pacific Coast lodging opened in 2008 in the Land's End city’s exclusive hillside Pedregal neighborhood, and has been wowing guests ever since with sumptuous ocean view rooms and suites, spectacular cliffside wining and dining at the market-style seafood restaurant El Farallon, and revitalizing treatments at onsite spa Luna y Mar. Co-favorite One&Only Palmilla has been a benchmark Los Cabos lodging for over fifty years, since pioneer developer Rod Rodriguez opened it as one of Baja California Sur's first fly-in fishing resorts.That was in 1956, before the Transpeninsular Highway had been built, and the region was a playground for Hollywood actors and big-game anglers. Today, the grand dame resort is an oasis of gracious living, with flawlessly sculpted grounds, five-star dining facilities, and a Jack Nicklaus designed golf course that has been rated among the world's best. The region´s most exciting new luxury property is The Cape, a sleek, modernistic Thompson hotel set on famed surf beach Playa Monumentos in the tourist corridor that connects the cape cities. Each of The Cape’s 161 surfer chic studded rooms and suites offers breathtaking views of the granitic rock formations at Land’s End, and the boutique beachfront hotel is also home to Manta, the first Los Cabos project from celebrated Mexican chef Enrique Olvera. A romantic getaway of the first order, Dreams offers an array of amenity laden suites, as well as three large pools, a jacuzzi, five onsite restaurants and four lounges. The suites are elegantly appointed in contemporary Mexican style, with gorgeous terrace views of the Sea of Cortés. Restaurant highlights include steaks at Seaside Grill, seafood at Oceana, Mediterranean cuisine at Portofino, and French fare at Bordeaux. 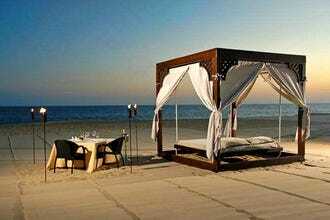 There is also a Just the Two of You option, with a table set up beachside for a romantic candlelit dinner. The spa offers whirlpools, saunas and steam baths, as well as several varieties of massages, and beauty treatments like manicures and pedicures. 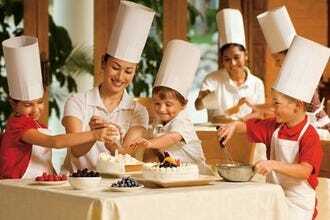 Kids will enjoy activities from the Explorer's Club. 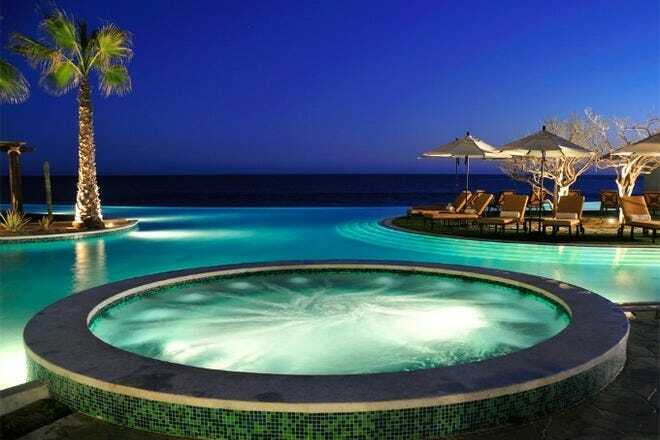 One of four Pueblo Bonito resorts in Los Cabos, the all-inclusive Pacifica Holistic Retreat & Spa offers striking accommodations and a full range of spa services, as well as some spectacular Pacific Ocean views. This is one of the most visually arresting resorts in Los Cabos, with 154 rooms and suites showcasing chic, minimalist décor. The all-inclusive package includes unlimited food and beverage, daily wellness activities, and wine and tequila tastings. 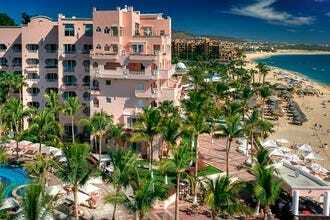 The Pueblo Bonito Pacifica is non-smoking, and the minimum age for accommodation is 18. Amenities include a private balcony or patio, satellite television, internet access, blackout curtains and daily maid service. There are five onsite restaurants, including the Mediterranean cuisine of Siempre, and sushi at Pescados de Siempre. In addition to their award winning Armonia Spa, they also offer a meditation labyrinth, beachside yoga, a fitness center and salon services. The luxurious Médano Beach based resort Casa Dorada combines magnificent Sea of Cortés views with richly appointed suites and penthouses featuring marble bath appointments, private terraces, chic interior design and upscale amenities such as plasma screen televisions and wireless internet service. The onsite Saltwater Spa is of first-class quality, as is the restaurant Twelve Tribes, one of only two restaurants in Mexico mentioned in Centurion's members only publication Black Ink. The spa focuses on revitalizing body and wellness treatments utilizing the curative powers of the mineral rich waters of the Sea of Cortés. Twelve Tribes' menu showcases dishes featuring fresh local seafood. 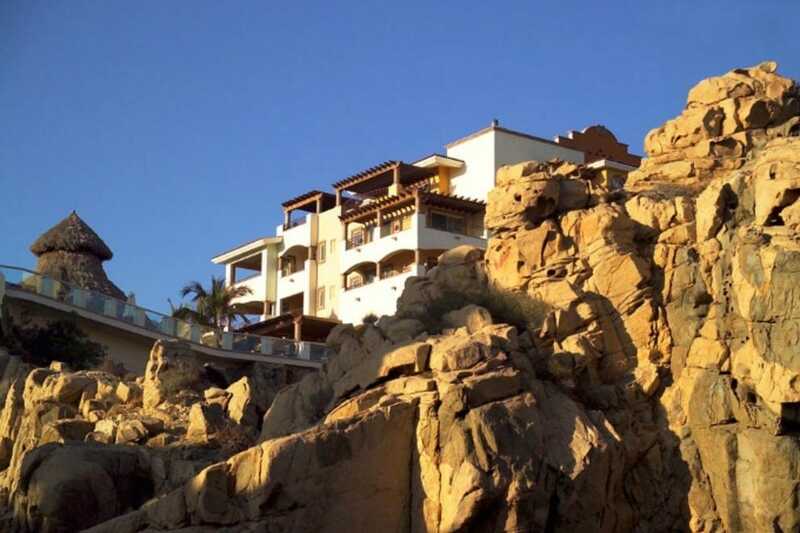 Ridge Luxury Villas are perched cliffside above Playa Grande, and feature stunning views of the Pacific Ocean, Cabo San Lucas Marina, Bahía San Lucas and the entire downtown area. Guests may choose between one-bedroom Master Villas, two-bedroom Luxury Villas, and three-bedroom Presidential Ultra Luxury Villa, all with separate kitchen and living areas. Amenities include multiple infinity pools and a water slide, fitness and spa services, a tennis court, a jacuzzi, mini-golf and personal concierge service. The Ridge Bistro has terrific food, and specializes in Mediterranean cuisine and fresh local seafood. It is open for breakfast, lunch and dinner. Dining is also available at the onsite restaurants at Playa Grande. 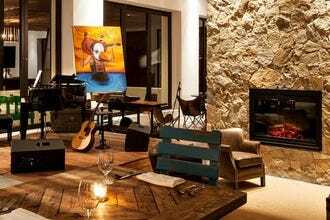 Few places on earth can match the setting of The Cape: A Thompson Hotel, the new boutique luxury property that opened June 26, 2015 in the tourist corridor between Cabo San Lucas and San José del Cabo. 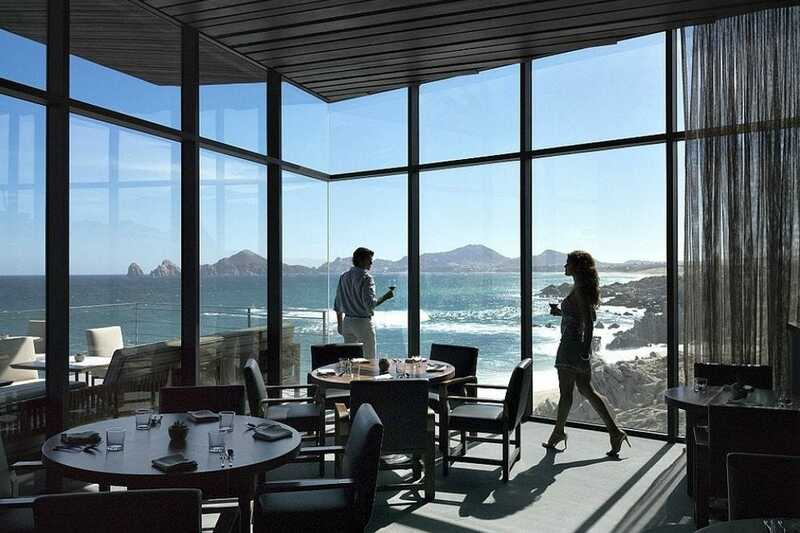 The hotel commands sublime views of the evocatively-shaped rock formations at Land's End from its beachfront home on Playa Monumentos, which itself is famed as one of the premier surf sites in Baja California Sur. Architect Javier Sánchez's greatest achievement is making these views available from each of the hotel's 161 rooms and suites, as well as its infinity pool, its acclaimed restaurant, its fashionable rooftop nightclub, its pampering spa…basically, from every available space on the property. The exterior is sleek and contemporary, the décor a nostalgic blending of 1960s moderne and surfer chic. The many black walls, like the black façade, are intended to make the views "pop;" as if there was any doubt of that considering the majestic location. 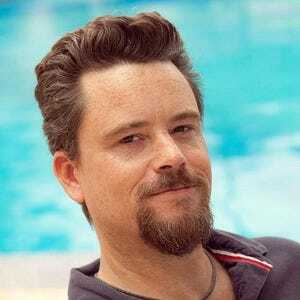 The most notable amenity is Manta, the first Los Cabos restaurant from celebrated Mexican chef Enrique Olvera, whose Mexico City eatery Pujol is currently ranked among the 20 best in the world. Grand Solmar Land's End Resort and Spa is the latest offering from the Solmar Group, whose other luxury properties locally include Playa Grande and Ridge Luxury Villas. The relatively new (phase one opened in 2011) all-inclusive resort features 289 suites, gorgeous views of the Pacific Ocean, and easy access to Playa Solmar, as well as Land's End itself (this is the closest resort to the granitic rock formations at the southernmost point of the Baja California peninsula). Restaurants La Roca and Don Luis feature Mexican, American and continental fare, and Baja Mediterranean-influenced cuisine, respectively. 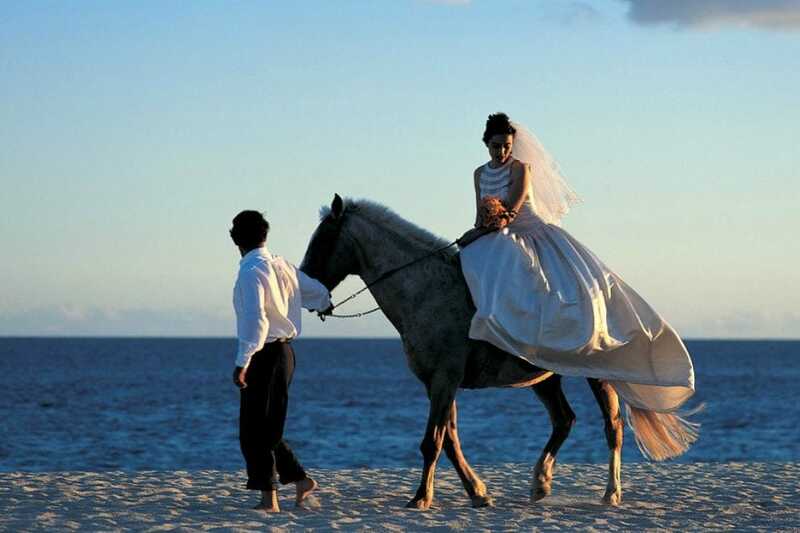 Amenities include full spa services, a beauty salon, fitness center, tennis courts, business center, heated pools and jacuzzis, beach side massage cabanas, and of course an accredited onsite romance coordinator. 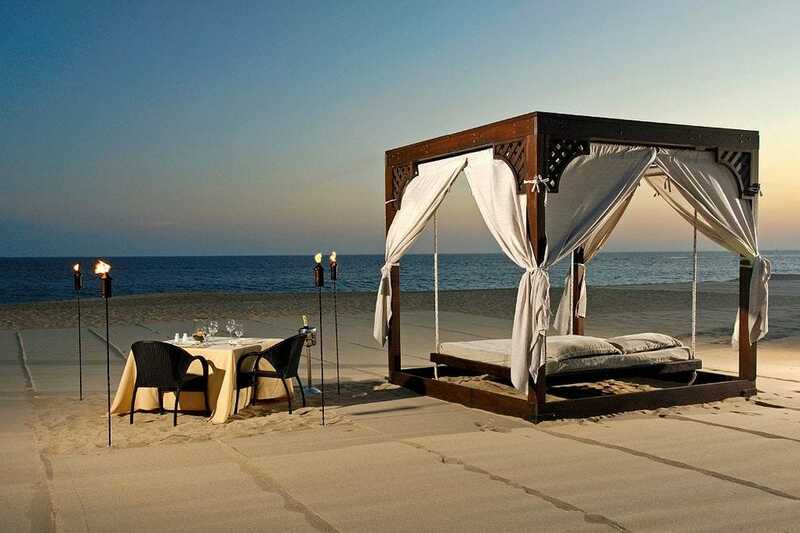 Las Ventanas Al Paraíso means the windows to paradise, and this Rosewood managed seaside resort delivers the expected spectacular views, as well as luxurious accommodations featuring exquisite attention to detail. There are well over a dozen varieties of suites available, from Garden View Junior to Presidential, with signature touches that include lovely terra cotta fireplaces. Baja Mediterranean-style cuisine is the focus of The Restaurant. Other on-site dining options include La Cava, The Sea Grill and the Tequila, Sushi and Ceviche Bar. Their excellent spa features elemental therapies derived from earth, air, fire and water. Culinary lessons are available, as are tequila lessons and tennis instruction. 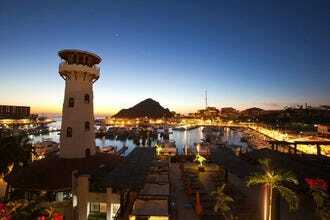 Championship level golf is available at the nearby Cabo Real course. 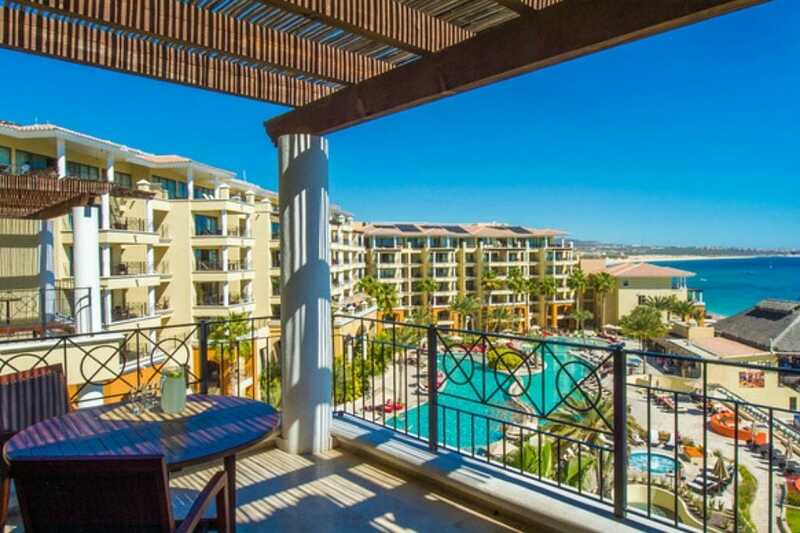 This beautiful 57-room seaside resort features luxury suites, casitas and villas, as well as some of the most pampering amenities in all of Los Cabos. The property recently reopened following nearly nine months of renovations and upgrades - a move necessitated by Hurricane Odile - and looks better than ever, with newly designed suites and guestrooms courtesy of HKS Architects in Dallas. Luxury touches include personal concierges and room service, and other amenities that can be accessed via in-suite iPads. The resort's Spa at Esperanza has been rated as the best in all of Latin America, and in addition to its massages and romantic couples treatments, features a spacious outdoor relaxation lounge. The integrated wellness program includes approximately 35 yoga and fitness classes per week, and the resort often hosts well-known instructors from the U.S. and elsewhere. Dining options at Esperanza include the spectacular seaside restaurant Cocina del Mar, the new ceviche bar Pesca, and al fresco style lunch at the Lounge Bar. Argentine chef Gonzalo Cerda and his staff will cook to order, including dishes to fit any dietary restrictions. 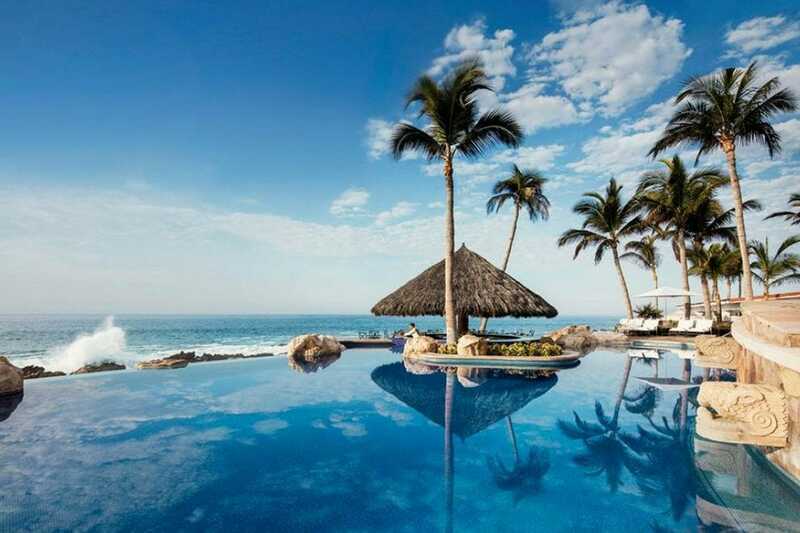 One&Only Palmilla is regularly rated by travel magazines as the best resort in México, and deservedly so. 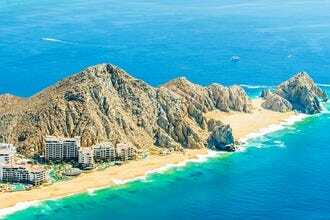 The resort has been around since the 1950s - it was founded by pioneering Los Cabos developer Rod Rodriguez - and has remained the area's benchmark property since receiving the One & Only imprimatur in 2004. In addition to its excellent accommodations and amenities - private concierges are standard - the resort hosts two world-class restaurants: Agua by Larbi from acclaimed chef Larbi Dahrouch, and the newly minted steakhouse SEAR from celebrity chef Jean-Georges Vongerichten. Recent upgrades and renovations following Hurricane Odile include an all-new 22,000 square foot spa and fitness facility, with The OBO Salon from Beverly Hills stylists Jonathan Antin and Amanda George, Barber&Blade for men, and manis and pedis in a studio designed by famed French podiatrist Bastien Gonzalez. 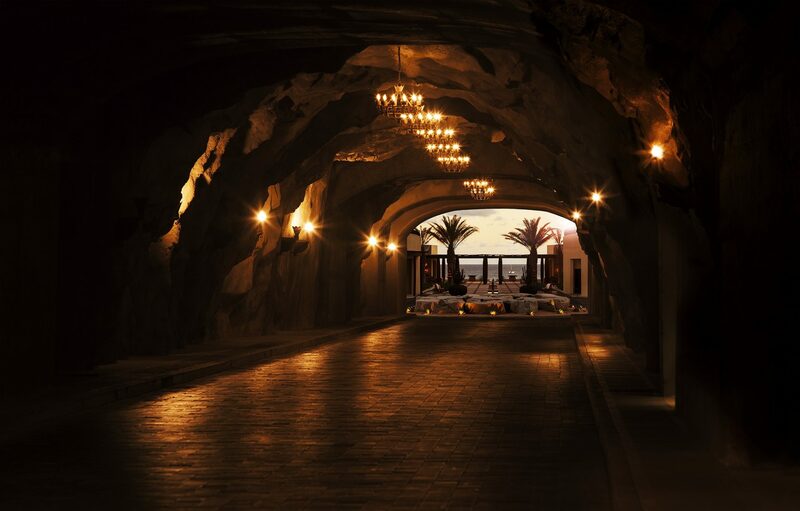 Enter through the only privately owned tunnel in México to luxurious surroundings and breathtaking Pacific Ocean views at this boutique beach resort, which offers 96 rooms, suites and villas. 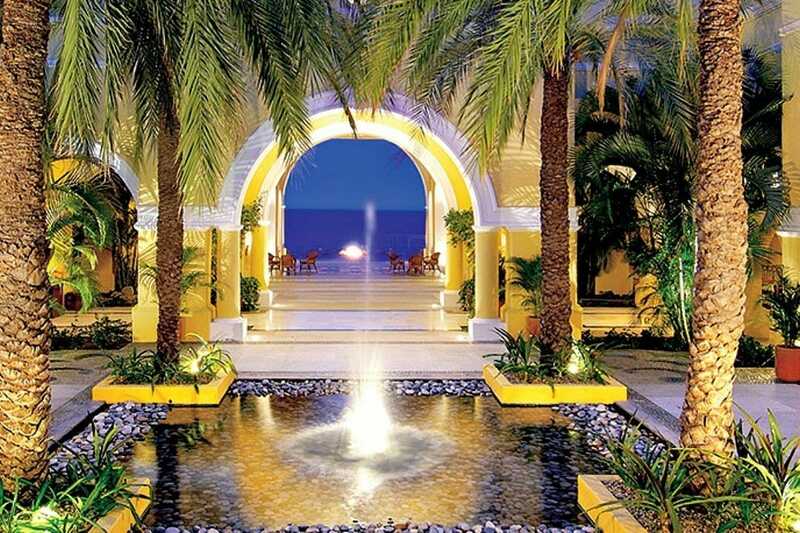 Round the clock fitness facilities and the Luna y Mar Spa highlight the outstanding amenities. Luna y Mar, a world-class pampering spa, features soothing, organic treatments based on the phases of the moon, while onsite restaurant El Farallón boasts one of the most romantic dinner experiences in the world, with a champagne terrace, and tables perched cliffside above crashing Pacific Ocean waves. First-class dining may be also be found at Don Manuel's and the Beach Club Restaurant, with private dining options available upon request.